I was upset when reading that Samsung is looking to sell its PC business. Trusted Reviews reported that there are many changes going on at Samsung following the disastrous Galaxy Note 7 launch, and now, the company is looking forward to selling its PC business. The article further reports that the Paul Hastings Law Firm is reportedly representing Samsung in the talks with Lenovo. Other sites reported on this as well, and my first response was disbelief (which may be warranted….keep reading). 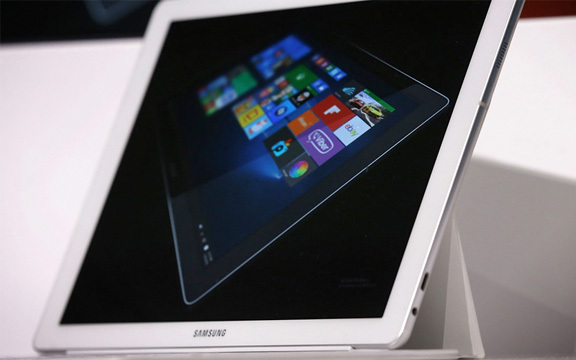 Samsung has become one of the most creative laptop makers over the past year. Although their laptops and laptop/hybrid tablets are flawed, they are inching towards perfection. My favorite product from Samsung over the past year is Tab Pro S, a Windows 10 tablet/laptop hybrid that has a beautiful Quad HD sAMOLED screen. The 128GB version with 4GB or RAM is a great buy for $700 (the 128GB version costs $800). However, with the Core M processor, it’s not really a laptop replacement yet. But it is a better buy than the lower-end Surface Pro models. I used the Tab Pro S for a week earlier this year and loved using it for blogging. It was especially great watching movies. If you don’t think a 12-inch sAMOLED screen is a big deal, you’ll change your mind when it stares you in the face. They keyboard cover, which actually comes with the device (hello, Microsoft!) felt a little cheap and there were only two angles the tablet could stand at — both were unsatisfactory. Still, the Tab Pro S is one of the best first generation laptop/tablet hybrids ever released. I have been looking forward to the second generation, which will be amazing if Samsung can include an Intel i5 or i7 processor. The Pro S would be a little heavier, especially because you need a bigger battery to combat the more powerful processors, but the extra weight would be worth it. Earlier this year, I wrote about my experience with the ATIV Book 9 Spin, which was a great alternative for the 2015 MacBook Pro Retina (13-inch). Not only was the screen gorgeous, but the trackpad was as close to a MacBook as one can get. The computer used a 2.7GHz Intel i7 processor, which made photo and video editing easy tasks. I only wished that Final Cut Pro was available for a Windows PC. 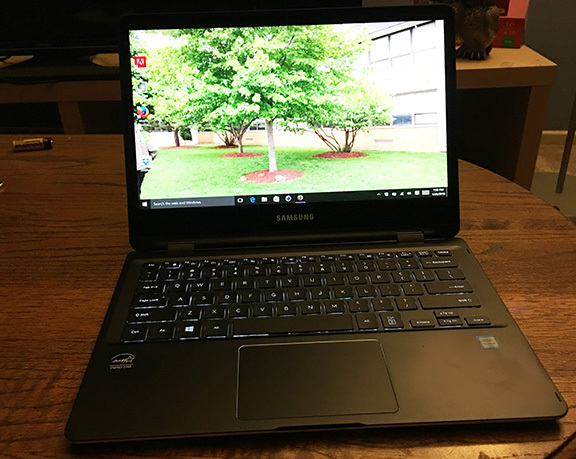 The only downfall to the ATIV Book 9 Spin was the battery life — with brightness set at 80 percent, I was able to get five hours of work done surfing the Internet, photo editing, blog writing, and movie streaming. Most users will be able to get 6 to 6 1/2 hours without having to recharge. This isn’t bad at all, but it isn’t the 8 hours that Samsung had advertised. In any case, according to ZDNet, Samsung says the rumor simply isn’t true, and they are not selling off their PC business. This is good news because Samsung is about to become the best computer maker since Apple. They just need a little more time, money, and forgiveness from consumers after the Note 7 recall. This entry was posted in Tech News and tagged Lenovo, Samsung, Tab Pro S. Bookmark the permalink.